This project means totally everything to me. The novel on which the script is based literally found me. This is what they call destiny… The book was supposed to be thrown away by my friend. I picked it up. When I closed it after reading, I knew I’ll make a film based on it. The book has impressed me. The story itself, its clear polished structure, is so cinematographic and has such unspeakable deepness. In Ukraine there is just one place where the story can be developed organically – this is the Carpathians Mountains. This is why I have adopted the script to The Carpathians and the Hutsuls’ (people who live in The Carpathians). The theme of the movie – confession. That is why at the beginning of the film, involuntarily, the spectator can see the confession. “Confession” in Christianity – the intent of the sacrament is to provide healing for the soul as well as to regain the grace of God, lost by sin. Christians suppose to make confession before they die, to let their soul go to God being pure without sins. The writer (main woman character) accomplishes the mission of St. Christopher and hears the brothers’ confession. Talking about St. Christopher we should realize how important he is for this story. According to a legend Christopher had the face of a dog, in early icons he was portrayed dog-faced. When Christopher was baptized, God gave him the looks of a beautiful youth. According to another legend, he was a wonderful young man, but when baptized and while holding sermons, women used to fall in love with him rather than hearing the teaching of Christ. For this reason he asked God for the likeness of a dog, in order not to prevent people from listing to him teaching the word of God. One man with two official versions of the life. Christopher’s dualism exists in both brothers, each of them is telling the same story in different ways. One story for both… The spirit of Christopher drives the writer. The audience never sees the face of St. Christopher. Writer and Christopher have one name for both and one face for both. The construction of the film is a trap. It’s the overall structure of the script, it’s the external construction, entire backbone. Both brothers are like two spiders, trying to tighten everything and everyone into their net. In the beginning of their lives they are unable to do it, during their childhood they are constantly trying to catch things; fish, etc … Once grown ups inside their web, people get caught. 4. 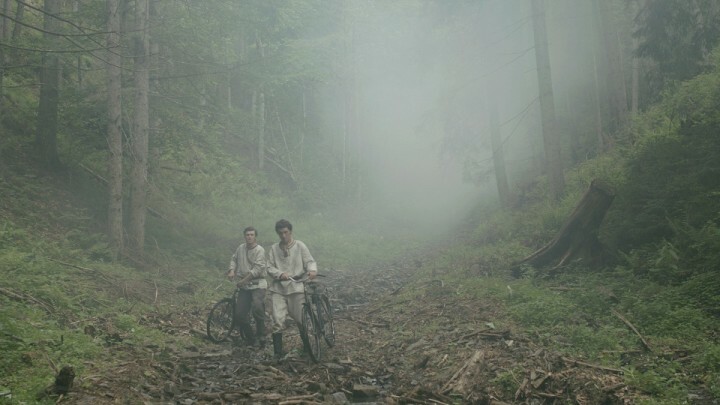 1943-45 – the brothers’ childhood. Winter – has a cold atmosphere that will be shown with light and color. Summer memories oppose to winter – which are bright and warm. 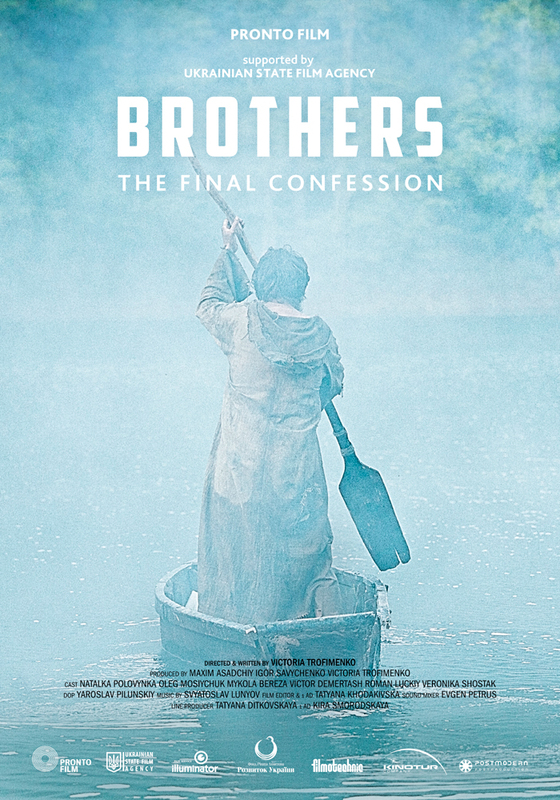 In the beginning the film is cold, but the closer the brothers reach their final faith, the more summer memories become evident much like that happens to old people. This is exactly what the spectator is going through with the brothers. The older they get, the more involved they become in their memories. This is the same experience the writer is going through with both brothers. There is a cornerstone moment in Voytko’s life, when Christopher hears him and starts to “look” after both brothers. This is why I want to shoot winter scenes with a hand held camera, it supposes the presence of a third person. This someone is St. Christopher, who is watching the way things happen. The objective world of the brothers is very authentic. It looks like the time is frozen there… Civilization did not affect anything. One day, writer gets into a small provincial town in the Carpathian Mountains and gives a lecture in the local cloister about holy and weak-minded people. An elderly man is one of the audience, his name is Voytko. She goes to his homestead. Woman turns out to be in a kind of trap for some time and can’t leave the homestead. The writer becomes more and more absorbed into Voytko’s life, she meets his brother Stanislav, who lives in the opposite house at Verkhovyna. She becomes the only link between two brothers; the only gist of living for them is the internal struggle: who will live longer and deprive the rival of chance to get pleasure from his death. She restores brothers’ life-story piece by piece like mosaic. She becomes the witness of both brothers’ drama, they have been sharing everything during all their life: mother, toys, right to be called the best, woman (one for both), one son for two, it’s unknown who is the real father of the boy. The boy considers both brothers to be his fathers. But the event, after which they never talk to each other during 40 years, takes place in their life. Looking out of the window to the steam coming from the chimney becomes the sense of their living; like strategists they figure out how to defeat each other and die the last.